When I go out to eat, normally I choose between rice （饭）or noodle（面）, then it is easier to decide what to eat. For rice, I can choose 糯米饭，椰浆饭，杂菜饭，鸡饭 etc. For noodle, I can choose 云吞面，意大利面 etc. 饭 / 米饭 — rice. Both 饭 and 米饭 means rice. At Singapore, we use 饭, while I have heard people from China use 米饭. 米 = the rice before cooked, 饭 = the cooked rice. Thus, we have different types of 米 and different types of 饭. 糯米饭 — glutinous rice. We do not eat 糯米饭 often, because a small portion of glutinous rice makes you full. 椰浆饭 — 椰浆 = coconut milk, 椰浆饭 = rice cooked with coconut milk = nasi lemak. 杂菜饭 — economical rice. 杂菜饭 is commonly seen at hawker centres and food courts. The interesting part is “杂菜” has nothing to do with “economical”. 杂菜 = mixed vegetables, in this case, vegetables also mean dishes and you can choose fish and meat as well. 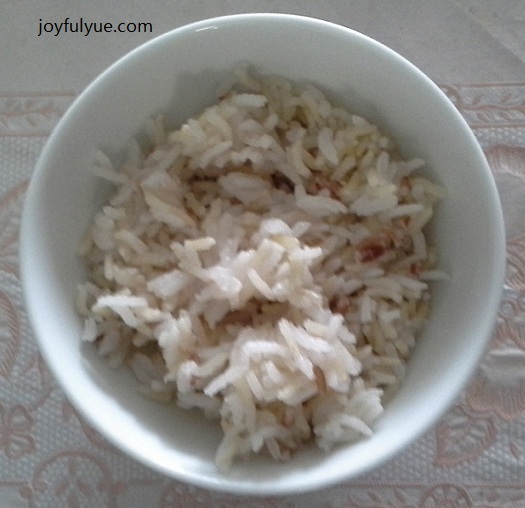 杂菜饭 is called economical rice because it is usually cheaper than other food. 小菜 — side dish. Similarly with 杂菜, 小菜 does not mean the small green vegetables, it means side dish. 鸡饭 — 鸡 = chicken, 饭 = rice, 鸡饭 = chicken rice 🙂 easy. Similarly, 鸭饭 = duck rice. By Wendy in Languages on 23/11/2013 .